Introducing a new series on InsideFPL cherry-picking some nice bets for the gameweek. International football can often feel like an inconvenience to FPL managers and bettors alike, so with no more breaks until March we can now look forward to really getting our teeth into the domestic season. Like the previous article, we will continue to use the Inside FPL Player Ratings to look for value bets in the First Goalscorer and Anytime Goalscorer markets, before also taking a look at the long term Top Premier League Goalscorer odds. 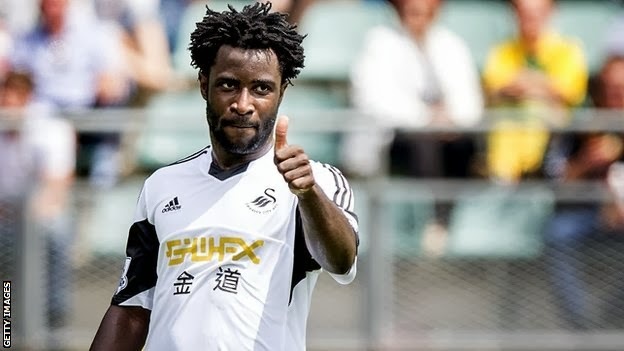 A fortnight ago we looked at how the injury to Michu will lead to Ivorian striker Wilfried Bony becoming the new focal point of the Swansea attack. We might have lost our bet that day, but overall it was an encouraging outing for Bony who played the full 90 minutes, scored twice, and had a total of 5 shots on goal. The Gameweek 11 Ratings also show that 4 of these attempts were from the valuable A/B shooting zones. On Saturday Bony takes on a sieve-like Fulham defence which has conceded the most zone A/B chances in the whole Premier League this season. We have no hesitation in backing Bony to open the scoring again at a widely available 11/2 (general). Keeping the focus on defence, we have spent some time this week looking at how the chances each team have conceded so far can be broken down. Of particular interest is teams’ ability (or inability) to defend crosses and set pieces. The team which has given up the most headed goal attempts this season is Paul Lambert’s Aston Villa. This will be music to the ears of West Bromwich Albion defender Gareth McAuley, who has two league and two international goals to his name already. The Northern Irishman has one of the highest expected goals rates of any defender in the league and with the dangerous crosses of Morgan Amalfitano and Chris Brunt to feed on looks good value to notch again on Monday night at 9/1 (Bet Fred, Bet Victor, Paddy Power). Finally, I wanted to take a look at the long term Top Goalscorer odds where Luis Suarez is now the bookies’ favourite at around 9/4. Despite his early season suspension, Suarez has 8 goals in just 538 minutes and if he keeps up this phenomenal pace the rest of the way he will finish with 44 goals! That is obviously unrealistic but just what total can we expect the Uruguayan to achieve? Suarez’ Expected Goals value over those 538 minutes is a more realistic 3.8 goals. This is still an elite scoring rate and is also broadly in line with his rate from last season. If we project this rate forward his final goal tally would be a more realistic sounding 25. The only other striker who comes close to Suarez’ Expected Goals rate so far this season is Manchester City’s Sergio Aguero. Last season’s top scorer Robin van Persie is currently a long way off his 2012/13 level. Aguero has 8 actual and 5.1 Expected goals in 765 minutes this season. Projecting that rate his final goal tally would be about 24 goals. It is worth noting the Argentinian also has the bonus of being his club’s chief penalty taker (penalties are not included in Expected Goal numbers) whereas Suarez has to cede this job to Steven Gerrard. Despite all this the bookmakers see Aguero as the outsider of the three and he is available at 5/1 across the board. With most companies offering 4 places each way at ¼ the odds Aguero is our pick. Our weekly look through the captain options and stats for your Fantasy Team.